It is a dilemma that many parents with more than two children have to face, and more often than not the solution of buying a larger seven seater car that will fit three or more child seats in is a very expensive one. That is until now. The MultiMac car seat is an ingenious invention in child safety and allows up to four children, from birth up until the age of 12, to sit comfortably in the back of an average sized car and is available at a fraction of the cost of a larger MPV. As Rachel, who lives in Northumberland explains, finding the MultiMac could not have come at a better time for her: “We saw the MultiMac on the Fifth Gear TV programme and thought that this is the answer we had been looking for, as we were quite happy with our BMW X3 and did not really want to get rid of it. After searching on Google, I found the MultiMac website. It is not only the convenience of The MultiMac that gives it an advantage over other child seats available but it achieves the highest standards of safety because of its unique energy absorbing design and special grade aluminum construction. It is secured independently by tether straps, a 5-point harness, patented AdjustaMac/chest pad design and adjustable legs with the whole assembly designed to give the best possible performance and protection. 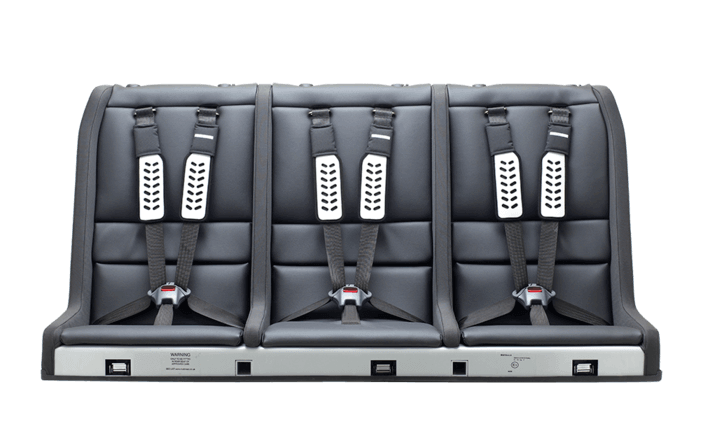 The MultiMac greatly exceeds all the crash test requirements of ECE 44-04 which is exceptional due to the fact that the seat has to cope with dramatically variable loads – from a single nine month old to four 12 year old test dummies. To cover all possible scenarios, 11 different child age/load combinations have to be crash tested to meet safety standards. 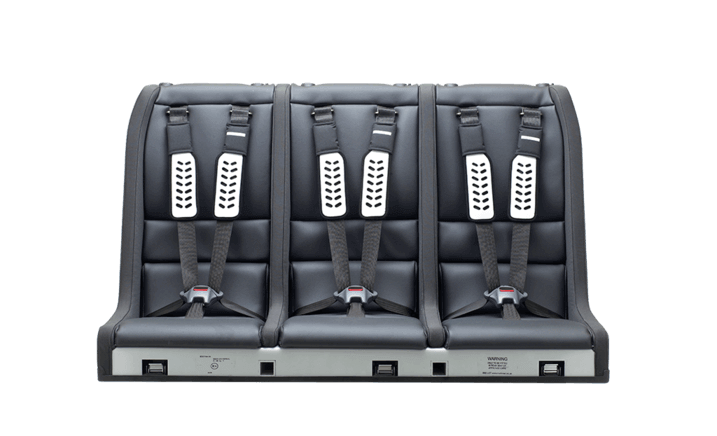 The MultiMac sits on top of the existing seat and is secured using the adult rear seatbelt mountings and a pair of metal legs resting on the floor with fitting or removal taking just moments. It also comes as a three-seater, with the option of adding headrests or rear-facing MiniMac cradle seats for babies. MultiMac can also provide bespoke upholstery to match your cars interior. 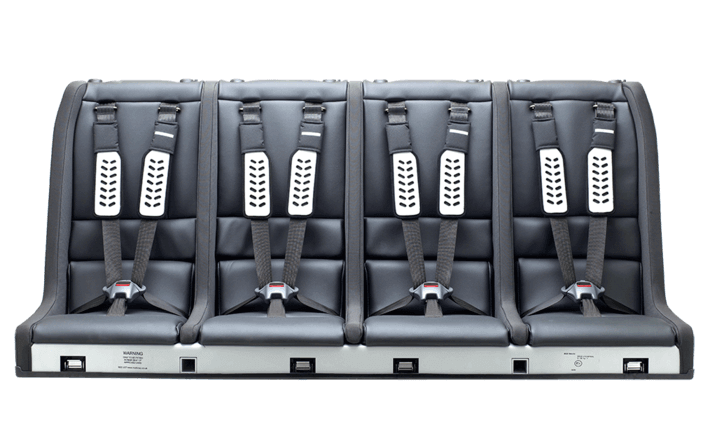 The MultiMac converts a five seater car into a six seater, but crucially it does not affect insurance premiums - Norwich Union has specifically approved the MultiMac and also other insurance companies have similarly accepted fitment of the seat with no change in premiums.